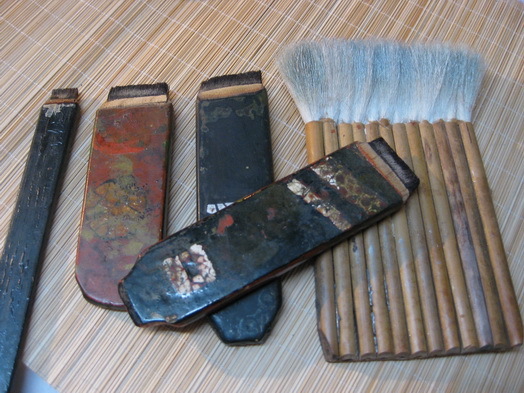 The technique of lacquer paintings has a long tradition in Asia. Present vietnamese artists have explored and reinvented the old art, transforming it to a new, contemporary context to create highly innovative and interesting paintings. 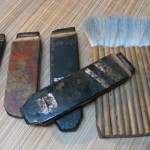 Each artist has a different way of using the lacquer-technique. 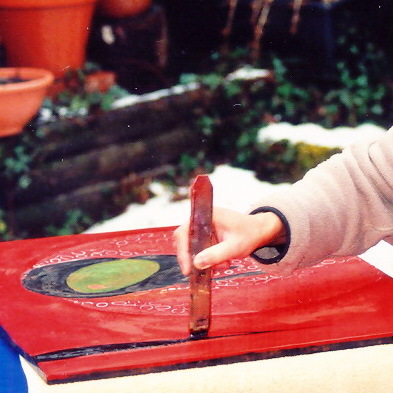 The paintings are drawn on boards made of plywood. 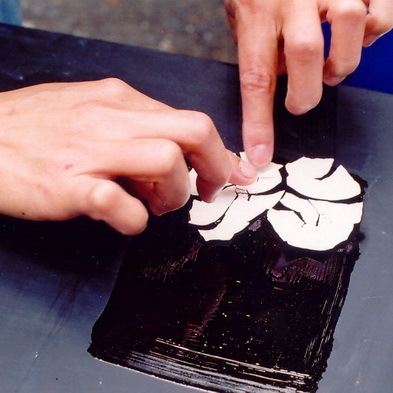 Various layers of black lacquer are applied on the boards, which are very smooth and durable. The artists use clear laquer which is mixed with various natural or artificial dyes to produce the colours. For example shades of red can be extracted from a naturally occurring red mineral. White colour can be produced from eggshells, sometimes eggshells are burned to obtain a brownish tinge. Several other materials are used, well known are silver and gold leafs. Silver leafs are used below the layers of colours to create an effect of immense luster. 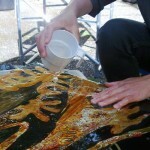 Gold leafs are often applied as the final layer to produce a fascinating effect. 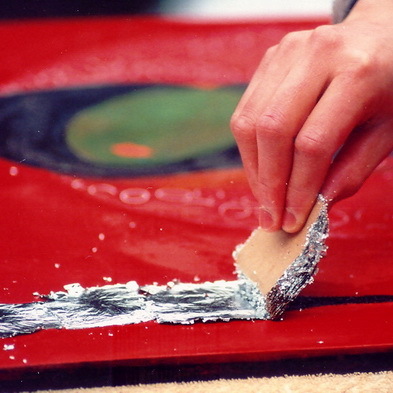 The last layer of lacquer is grinded and polished by hand. To draw one of these fascinating paintings is a long process.